Sprinkles is a pretty girl, who arrived at the Rescue along with two other cats, due to a family allergy. Sprinkles is friendly girl who enjoys a fuss. 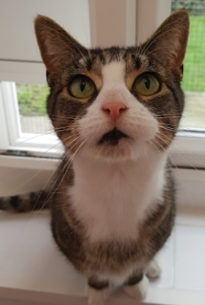 She is new to the Rescue and currently settling in and finding her feet, but we know she would make a lovely addition to a home.